The Centrium Apartments is one of Meritons largest serviced apartments, retail and commercial highrise buildings located between Thomas Street and Albert Avenue, Chatswood. 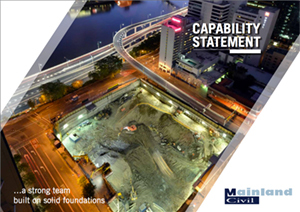 Mainland Civil was contracted to undertake the design and construction of all perimeter shoring including piling and shotcreting to the full depth of excavation. Bulk excavation involved the removal of approximately 75,000m3 of clay and shale using a purpose built steel and concrete loading platform.